replayed on The Disney Channel: August 1998 during "70s Week" and August 1999 during "70s week 2"
LIVE onstage at Disneyland: Lisa sings "Wherever We Go" with her ventriloquist dummy Arthur. Julie tap dances to a Zip-A-Dee-Do-Dah medley, and is joined by Kelly, Nita, and Curtis. 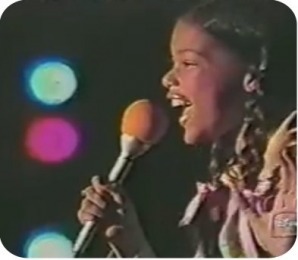 Shawnte sings like Natalie Cole in "Mr. Melody". the show goes on at Disneyland: Shawnte ends "Mr. Melody", then Mindy brings down the house with "Your Mama Don't Dance." All the Mouseketeers follow with Barry Manilow's "Jump Shout Boogie". Nita and Mindy lead the group singing "Children of the World". Mouseka-movie special: Wendy prepares to walk the plank in an extended clip from Peter Pan.